Shares of Proactis Holdings Plc ticker lookup code: LON:PHD has risen 4.52% or 4.75 points during the course of today’s session so far. Market buyers have remained positive while the stock has been in play. The high for the period has reached 110 and a low of 106.63. The total volume traded so far comes to 39,606 while the daily average number of shares exchanged is 262,756. A 52 week high for the stock is 210 about 105 points difference from the previous days close and putting the 52 week low at 93 a difference of some 12 points. Proactis Holdings Plc has a 20 SMA of 111.2 and a 50 day simple moving average now at 121.99. Market capitalisation is now £98.39m at the time of this report. The currency for this stock is Great British pence.Market cap is measured in GBP. This article was written with the last trade for Proactis Holdings Plc being recorded at Monday, August 6, 2018 at 12:58:49 PM GMT with the stock price trading at 109.75 GBX. Shares in Predator Oil & Gas Holdings PLC EPIC code: LON:PRD has stepped up 6.17% or 0.14 points in today’s trading session so far. Buyers have so far held a positive outlook throughout the trading session. Range high for the period so far is 2.65 meanwhile the session low reached 2.4. The total volume of shares exchanged through this period comes to 4,879,519 with the daily average traded share volume around 449,909. The 52 week high price for the shares is 2.91 around 0.56 points different to the previous business close and a 52 week low sitting at 1.9 making a difference of 0.45 points. Predator Oil & Gas Holdings PLC now has a 20 SMA at 2.29 and a 50 day moving average of 2.47. Market capitalisation for the company is £2.39m at the time of this report. The stock is traded in GBX. Mcap is measured in GBP. This article was written with the last trade for Predator Oil & Gas Holdings PLC being recorded at Monday, August 6, 2018 at 1:18:08 PM GMT with the stock price trading at 2.5 GBX. 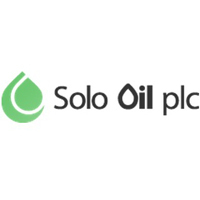 Shares of Solo Oil PLC ticker lookup code: LON:SOLO has moved up 6.38% or 0.15 points during today’s session so far. Traders have remained optimistic during the trading session. The period high has peaked at 2.59 while the low for the session was 2.21. The total volume traded so far comes to 2,517,790 while the average shares exchanged is 3,179,046. A 52 week high for the stock is 7.2 amounting to 4.85 points difference from the previous days close and the 52 week low at 2.03 which is a variance of 0.32 points. Solo Oil PLC now has a 20 moving average of 2.57 and also a 50 day simple moving average now at 2.64. The market capitalisation currently stands at £11.33m at the time of this report. The share price is in Great British pence. Mcap is measured in GBP. This article was written with the last trade for Solo Oil PLC being recorded at Monday, August 6, 2018 at 12:51:30 PM GMT with the stock price trading at 2.5 GBX. 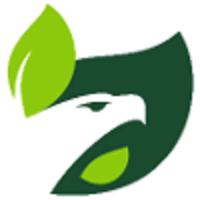 Shares of Strat Aero PLC ticker lookup code: LON:AERO has stepped up 4.62% or 0.04 points during today’s session so far. Buyers have remained optimistic during this period. Range high for the period so far is 1.02 dipping to 0.92. The total volume of shares exchanged through this period comes to 577,667 with the daily average number around 1,038,910. The 52 week high for the share price is 2.15 some 1.17 points difference from the previous days close and the 52 week low at 0.65 making a difference of 0.33 points. Strat Aero PLC has a 20 SMA of 1.17 and now the 50 day moving average of 1.26. Market capitalisation is now £2.87m at the time of this report. Share price is traded in GBX. Mcap is measured in GBP. This article was written with the last trade for Strat Aero PLC being recorded at Monday, August 6, 2018 at 1:16:02 PM GMT with the stock price trading at 1.02 GBX. Click AERO PHD PRD SOLO for the full archive.